Vechigen – The V-Files [Bonzai Music] exclusive on Beatport! You are here:Home » News » Vechigen – The V-Files [Bonzai Music] exclusive on Beatport! 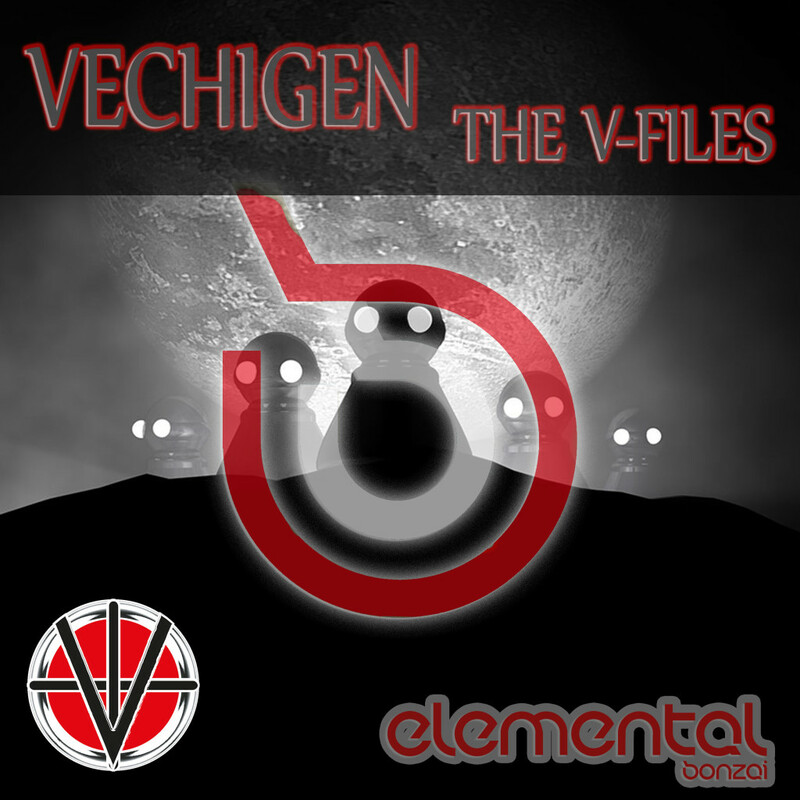 Dutch based artistic group Vechigen return to Elemental with the wonderfully chilled three tracker, The V-Files. It’s safe to say that this collective are the face of Bonzai Elemental with multiple releases over the last few years. Their last outing, back at the end of 2014 with The Guest House, struck a chord with many in the world of downtempo and laidback grooves. Great to see them back once again. Alien Believer intros with a wonderful display of FX and rich strings that deliver a truly cosmic vibe. Thunderous sounds converge onto the track while single drum hits break up the ambience, and melodies begin to filter through in the form of high pitched plucks and sweeping pads. An expertly crafted arrangement that will definitely liven up your imagination. The Visitors sets of with a superb bass pluck that is soon joined by melodic strings that cascade upwards alongside a rising arp. A super laidback drum arrangement is introduced and the dynamic of the track transforms beautifully. Various instruments are introduced and a myriad of melodic sequences ensues resulting in a very poignant, contemplative and uplifting composition, beautiful stuff. Why Can’t We Be Friends intros with a calming and reflective aura as smooth and warm strings play against the sound of a gentle tide as it ebbs and flows. Deeper, more prominent strings are brought in and a somewhat melancholic vibe follows which is resolved by some beautiful melodies. The perfect music for a meditative evening. Stay up to date with the latest Winters Enterprises news! Subscribe below for our mailing list. Winters Enterprises is the head office of many well-known companies in the entertainment industry. We specialize in music, design and (sport) entertainment.